As a collector, there are a few things that I really am actively looking for in my collection, like S.H. Figuarts Kamen Rider Skull, Land Bison from Da Garn, a complete G1 Bruticus, the list goes on and on. However, I am now able to happily clear off one big thing from that list. Ever since Atom first reviewed the new 1/60 Yamato Valkyrie back almost three years ago, my eyes were set on that toy and I said to myself “One day, I'm going to own one of those”. That day has finally come. 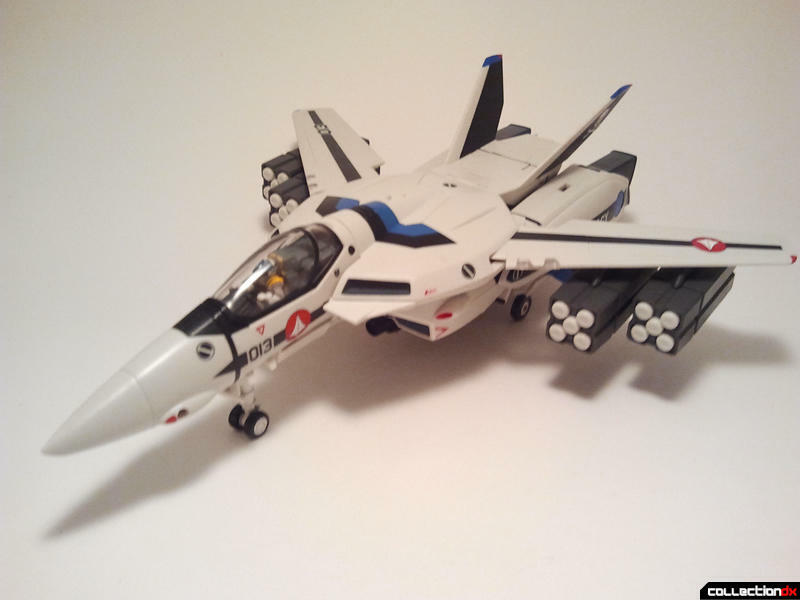 This version of the VF-1A is the Do You Remember Love Max Genius version. I was simultaneously expecting and surprised by how sharp all of the paint and tampo details are all over this toy. The shade of blue they use for the details is just right, and the just slightly off white plastic looks just like it did in the movie. Everything just looks gorgeous on it. The headsculpt on the 1A is absolutely gorgeous. Simple, geometrical, mechanical, and I love every bit of it. It's funny how when I was a kid the 1A head design was my least favorite. Now it's by far my favorite of the original VF-1 Valkyries due to its simple design and mass produced feel; I do love me some cannon fodder mecha. All of the joints are smooth and super tight. The legs are a little different to pose at first, but eventually it all felt very natural to do. Two alternate hands are also included: one stylized hand for holding the gunpod, and another hand splayed open for holding the gunpod or to reach out at things dramatically. When I first opened up my Valkyrie, I was so worried about breaking something that I spent at least twenty minutes trying to transform the toy for the first time. It was an almost heart attack inducing experience, but I still loved every moment of it. I've always heard of how nice the GERWALK mode was, but now that I am able to see it and hold it for myself I can really take that statement to heart. The leg splay is perfect and the GERWALK just looks so good. The fighter mode is just as gorgeous. I thought that I would only display my Valkyrie in Battroid mode, but now I find myself constantly changing between the three different configurations. Even the fighter mode has its charm just resting there on its landing gear, as if it's in the hanger of the SDF-1 prepping to launch. The tiny little Max Genius inside is incredibly tiny and well painted. It's really amazing how tiny some of the paint applications on this toy are. Two sets of missile pods are also included, but I prefer to keep my Valkyrie clean. By now almost everyone knows how fantastic the 1/60 Yamato Valkyries are now. This is just my chance to finally share that I've managed to get my hands on a Yamato of my own, and that it's truly everything that I dreamed it would be. 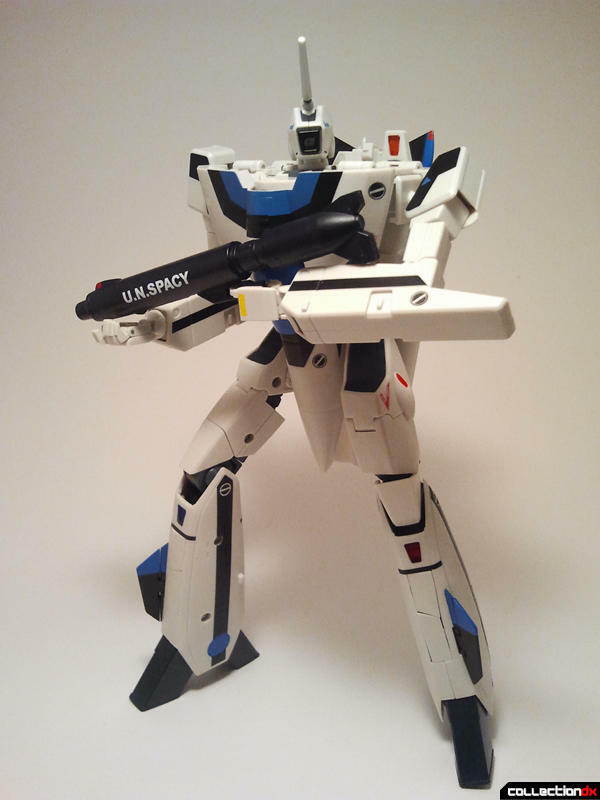 I have the VF-1A in Hikaru's DYRL colors. 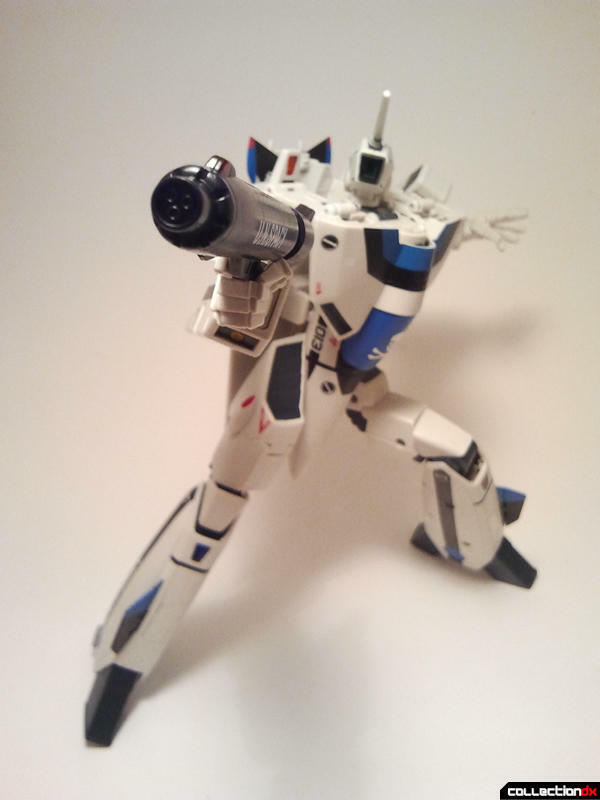 Even with four other Yamato 1/60 Valkyries to compete with, I feel it is the single finest high-end toy I own, hitting that perfect sweet-spot between feeling like an advanced item for the adult collector and being sturdy enough for casual handling and light play when we want to pretend our Decepticons are Zentradi scum. 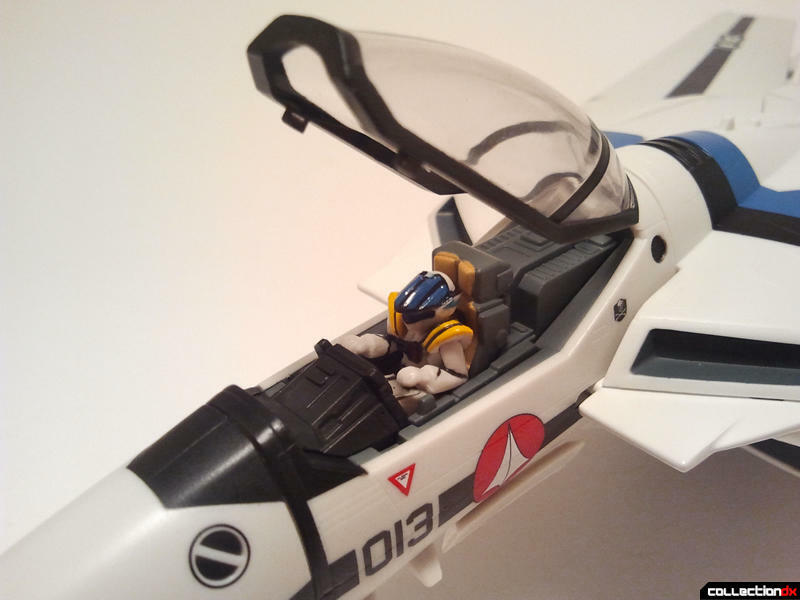 A fantastic mold and if anyone reading this does NOT have some version of the 1/60 VF-1 version 2.0 from Yamato, I think DKun here will back me up in saying you should pick a color scheme and nab one. I have this one too. I got it so it can wear the GBP-1S armor while the other Valkyries wear their own armor. One thing I suggest is for you to take the Super & Strike Parts, they add so much value (and weight) to this figure, that it's worth saving money fo when it will be available again. Oh yeah, I am definitely going to get the FAST Packs in the near future. I don't know about the GBP-1S since it's kind of huge though. This is definitely my new favorite toy though, hands down. They've given us every variant...and THEN some. I still would like to see Stealth Super VF-1J. 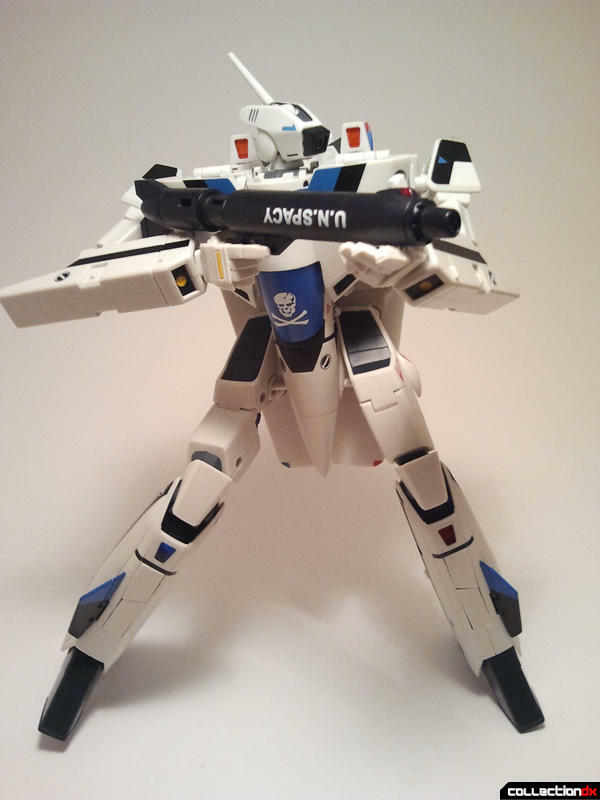 And would be nice if the got license for VF-2SS. 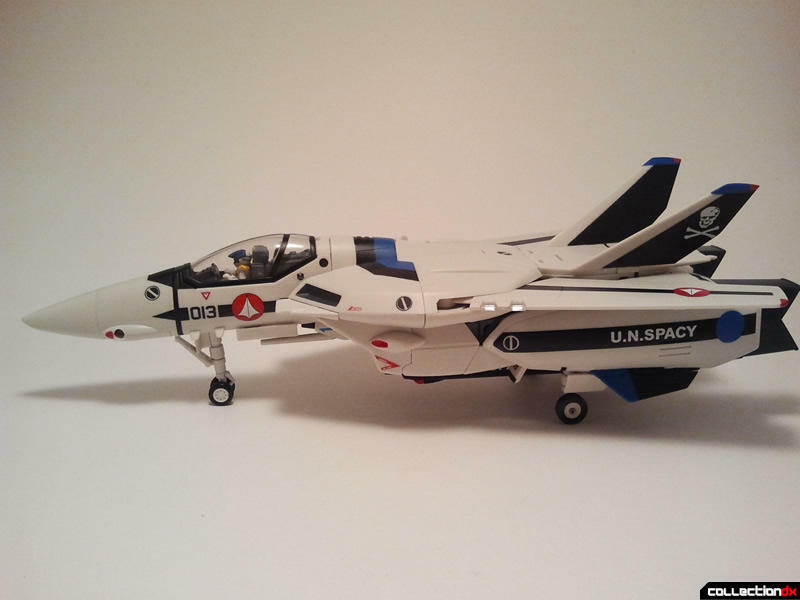 Most of the non-show variants in the 1/48 line were done in order to cover the inability of that line to do the two-seat VF-1 variants. Since the new 1/60s could do those they could fill out the line with them instead of made up color schemes. 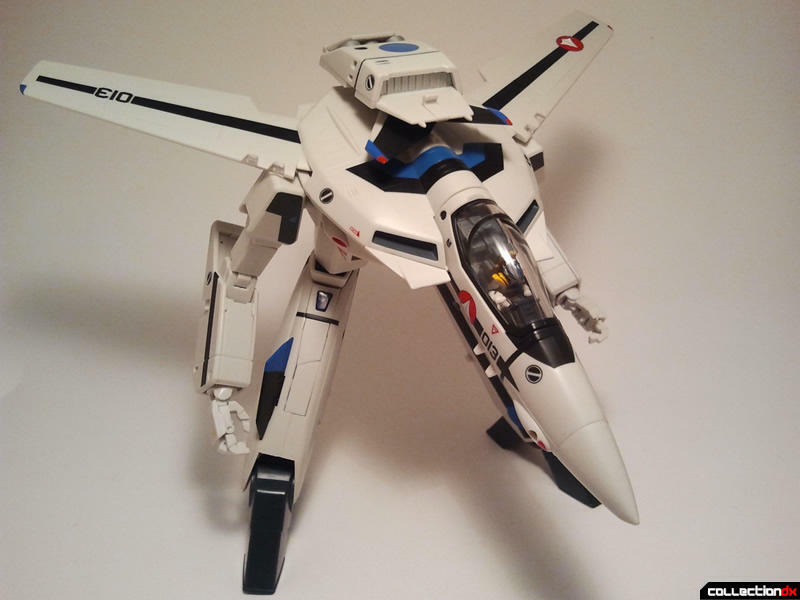 I mean we did get that one odd low-vis VF-1S. Also we will probably see a Yamato VF-4 before we eve ever see a VF-2SS. 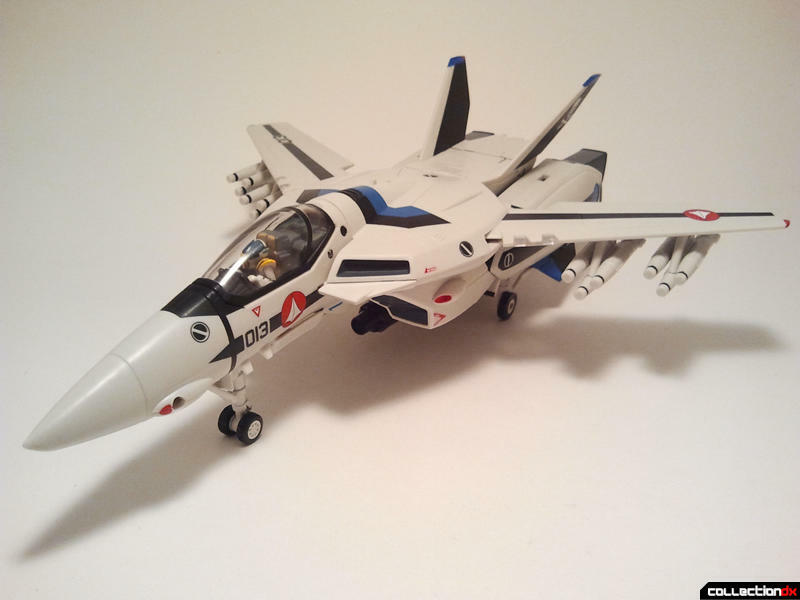 VF-4 seems like a good idea, even if on screen we only saw it's fighter mode, though the transformation will be very tricky to achieve in a toy. I know Studio Half Eye tried doing one but there are very few photos of it on the net. 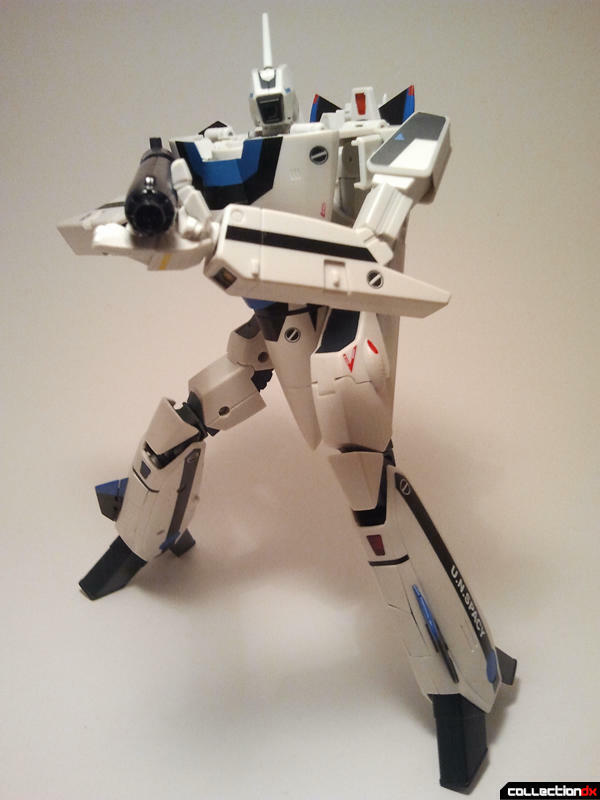 On the same note I wonder if they'll tackle VF-11 MAXL, though I'd rather see things like VF-9, Star Mirage, and other mechs seen in games that I know only from art books. 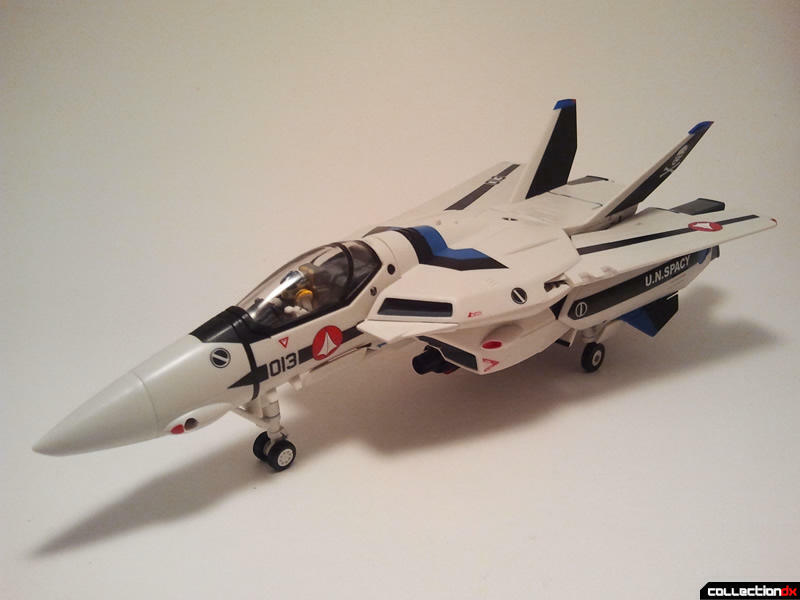 I pray they'll make a VF-0D as that's probably one of my favourite non-VF-1 variable fighters. But right now I think we'll have a bajillion variants of VF-19 Excalibur from Macross 7 in the near future rather than a new design (not counting that Nightmare they previewed). 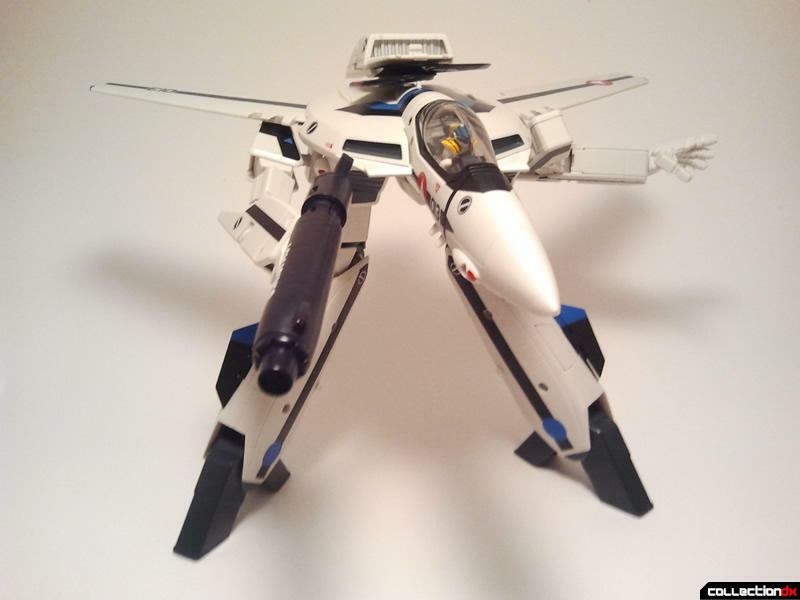 Who knows, I don't plan on purposefully dying for the next 20 years, so chances are I wll see a VF-2SS someday. Hopefully I won't grow out of Macross by then. So very late to this party. So very late to this party. This will be a long post so bear with me. 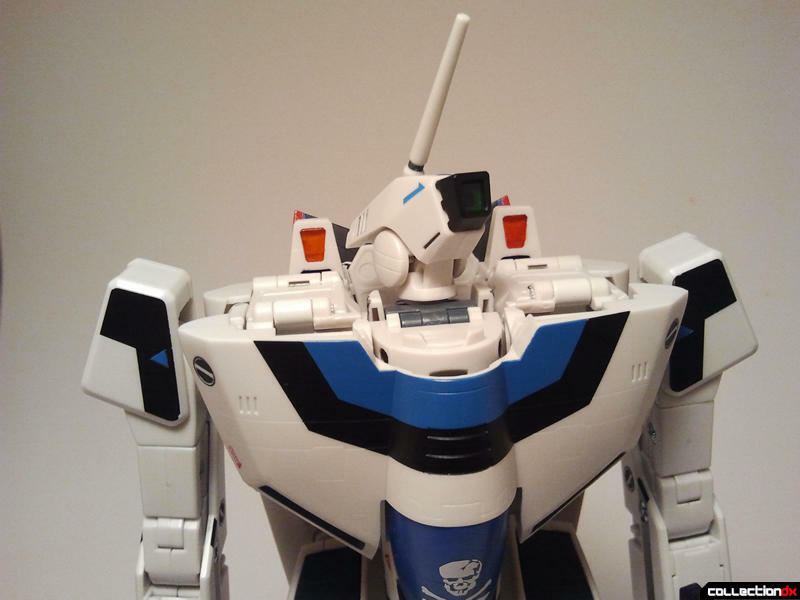 I'm an old school Robotech fan. I mean old as in I watched when it first came out as a child. It's what led to my love of Transformers. Sadly, there where far more transformer toys than robotech, so that is where my interests lay as a kid. Ironhide May have been my favorite character, but Jetfire was always my favorite toy. 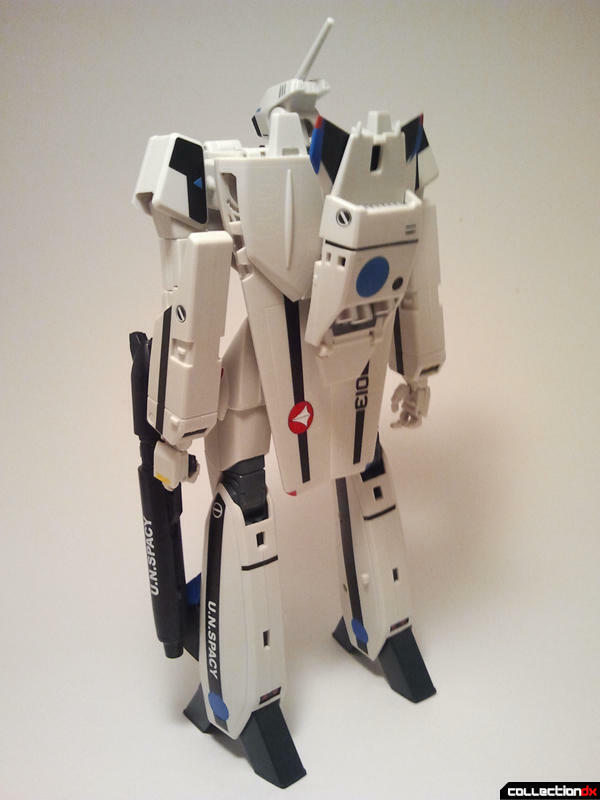 Many, many years later in an issue of Toyfare, I learned of Toynami's Masterpiece Robotech line. At the time, I thought these were the be all end all, for display at least. As much as I loved these figures, I was still disappointed with how loose, how floppy they were. Yet I still bought each one ias they were released. 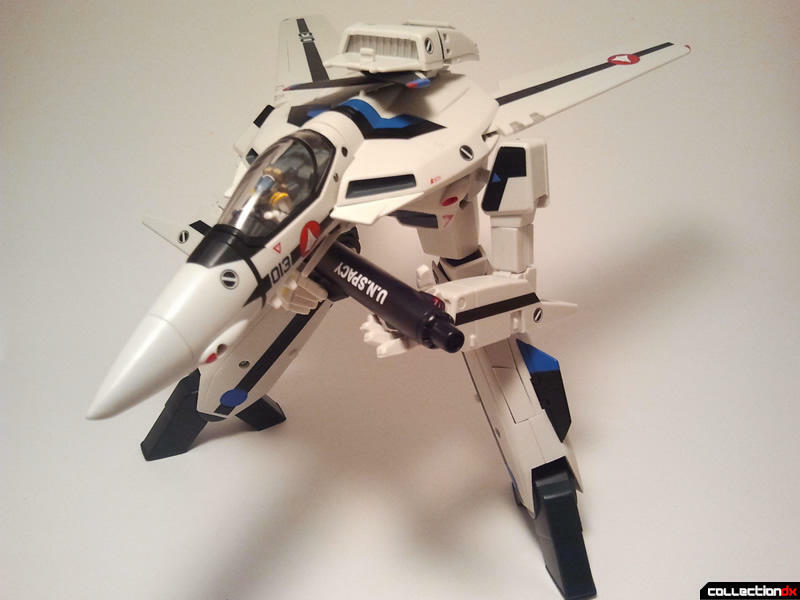 I was vaguely aware that Robotech was based on Macross from Japan, and that Japan had its own lines of transforming airplane toys, but I just didn't pay much attention to it. This brings us to about a month ago. Through the wonders of YouTube, I had discovered Macross in all it's forms and varieties. While doing a search on the Macross character differences, I stumbled upon this very review. I stumbled upon Yamato Valkyries. It was love at first sight. I promptly began selling my Masterpieces on eBay and ended up getting quite a bit for them. I've now started my 1/60 scale collection. 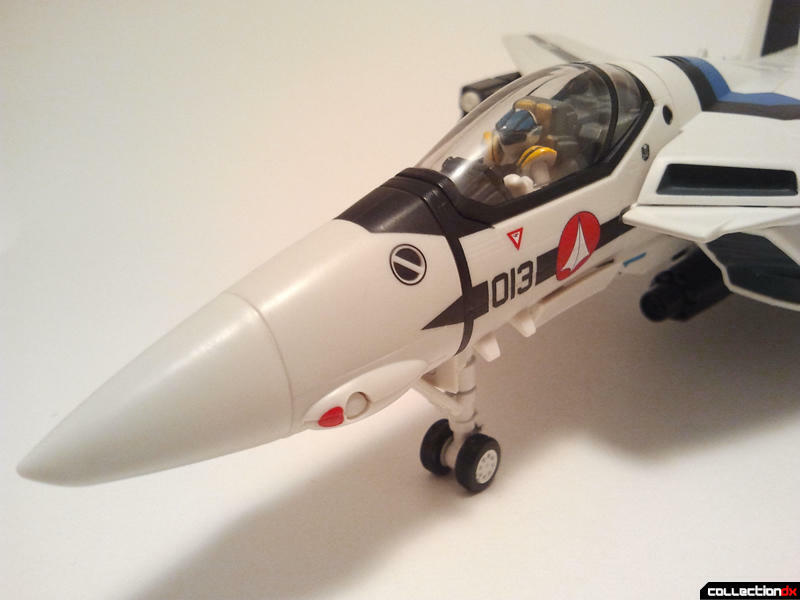 I have the YF-19, arcadia Skull One, and this very Valkyrie in this review. 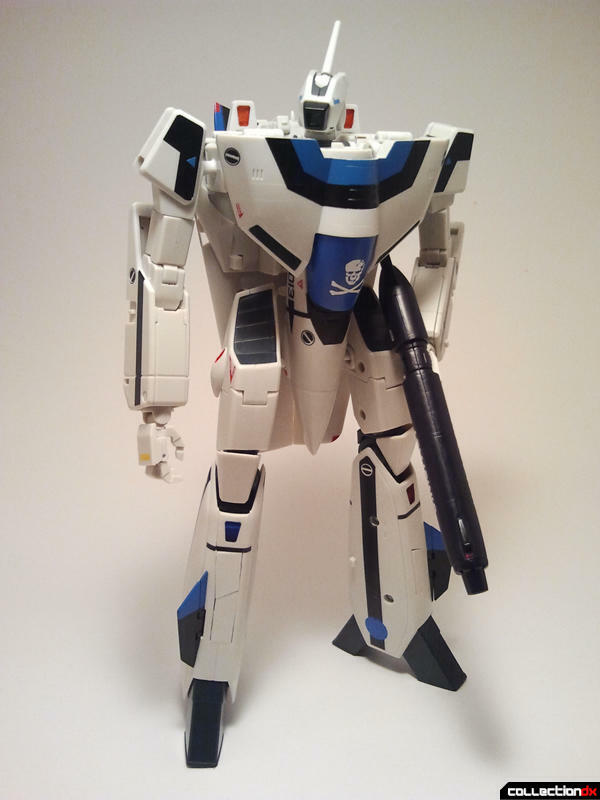 In fact, Max's VF-1A was my first purchase. 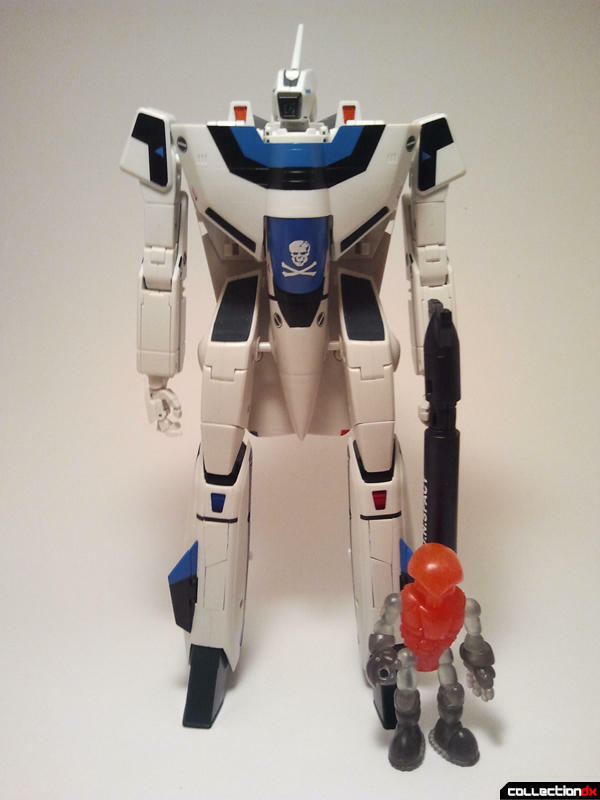 I finally feel like I have the robotech (sorry, but it's how I fell for the genre) toy I've wanted for thirty years. It might sound cheesy, and my wife might hate the prices, but as a collector who loves what he collects, I am very happy. Well, as long as I can keep my two toddler boys from getting ahold of them. So anyway, I want to say thank you to this whole sight. Heck, thanks to this place, I don't need the instructions to my figures, and as I branch out to Bandai DX figures, I know to stick with renewal versions. Mainly, I want to say thank you to you, Dkun, and your excellent review (and Atom's) for showing me what I had been missing. Honestly, you should get a commission from eBay.